Now that we’re getting so very close to officially being homeowners, Bob and I can’t stop talking about everything we want to do to the house to really polish her up and make her shine. May in upstate New York is hands down one of the most amazing times of year. 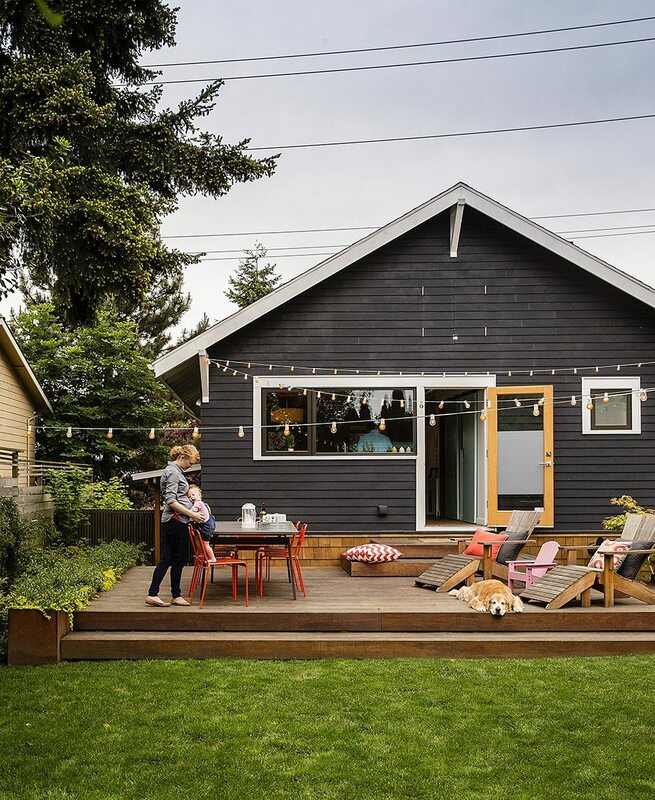 Trees start budding, flowers start blooming, lawn mowing becomes the official pastime of homeowners everywhere and the smell of dinner cooking on the grill fills the neighborhood on the nightly. 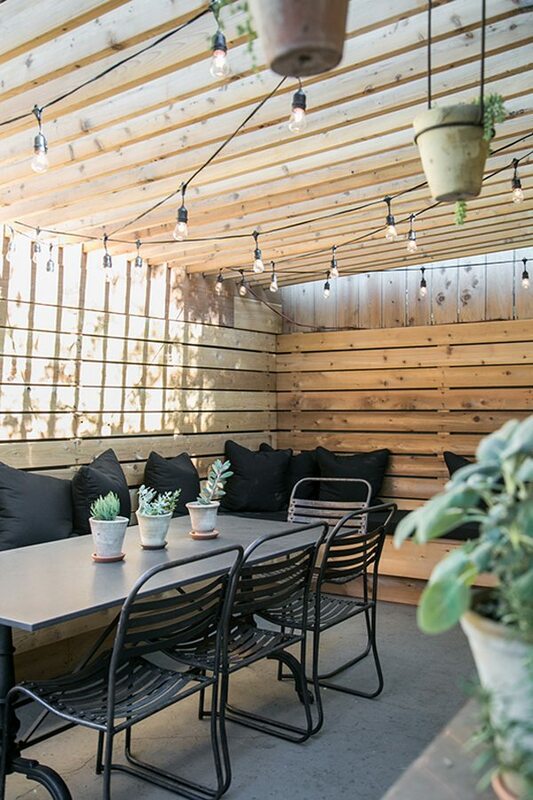 So now that we know we are closing on the house on MONDAY, we’re naturally talking and thinking nonstop about all the ways we want to make our new backyard into a serious entertaining and lounging oasis. Denial that the interior of the house needs many many many gallons of paint and that there’s a lot of stained blue carpet awaiting its eviction notice? Yup, probably. (Seriously. You’re going to see the interior photos and wonder why I’m even talking about the yard.) 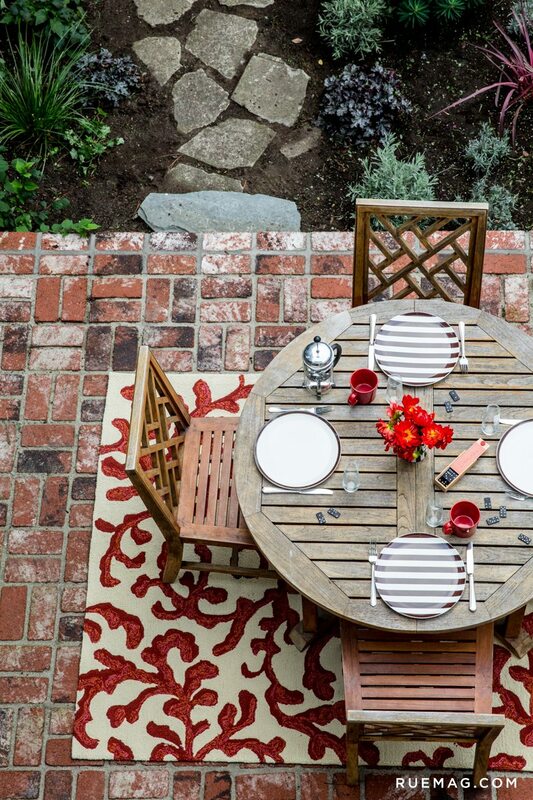 But we honestly just can’t wait to hang out in a big backyard with our name on the deed and host BBQs. 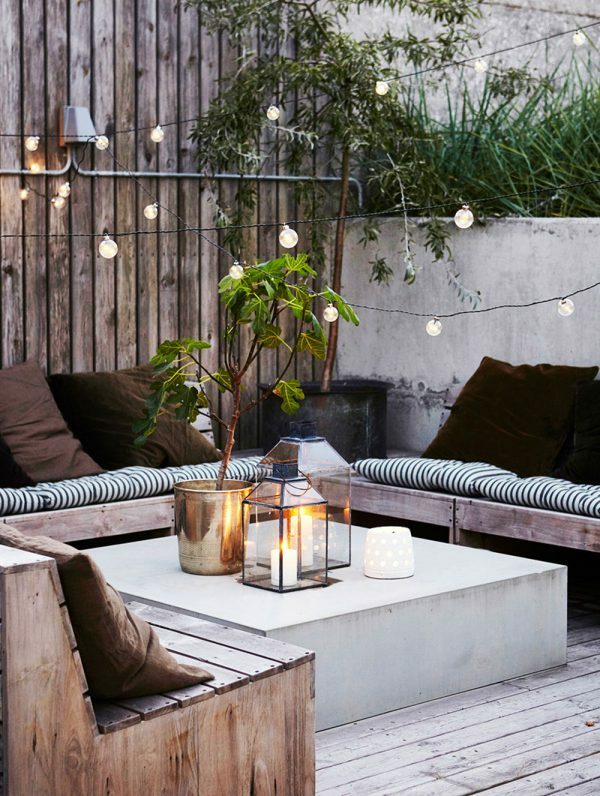 This is my current backyard inspiration! 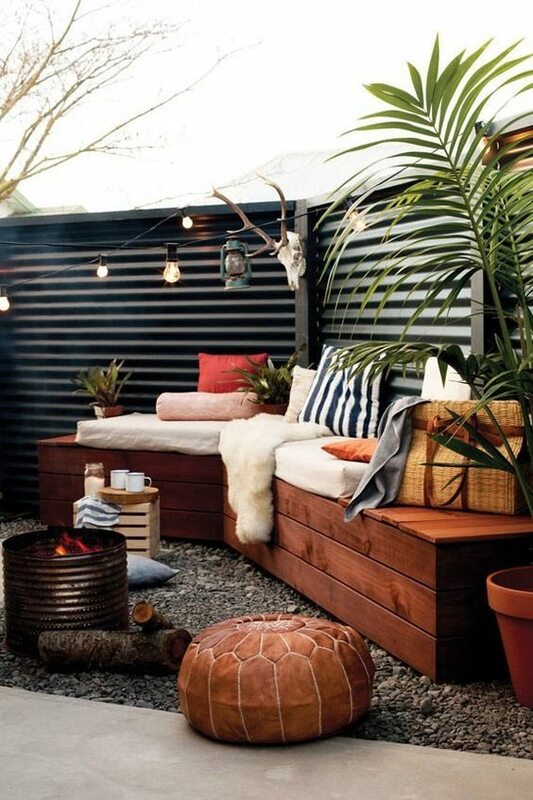 Some kind of great lounging space, a big table for outdoor dinners, a fire pit, string lights, a collection of Adirondack chairs, all the good stuff. Our backyard budget this year? About zero dollars! But I am having fun daydreaming anyway. Soon, guys. So damn soon.